CETROVO on display at InnoTrans. CRRC has unveiled a next generation metro train filled with new technologies. The train’s car body, bogie frame and driver cab equipment are all made from high-strength carbon fibre composite materials, which has resulted in it being 13 per cent lighter than traditional steel or aluminium metro trains, according to the Chinese manufacturer. 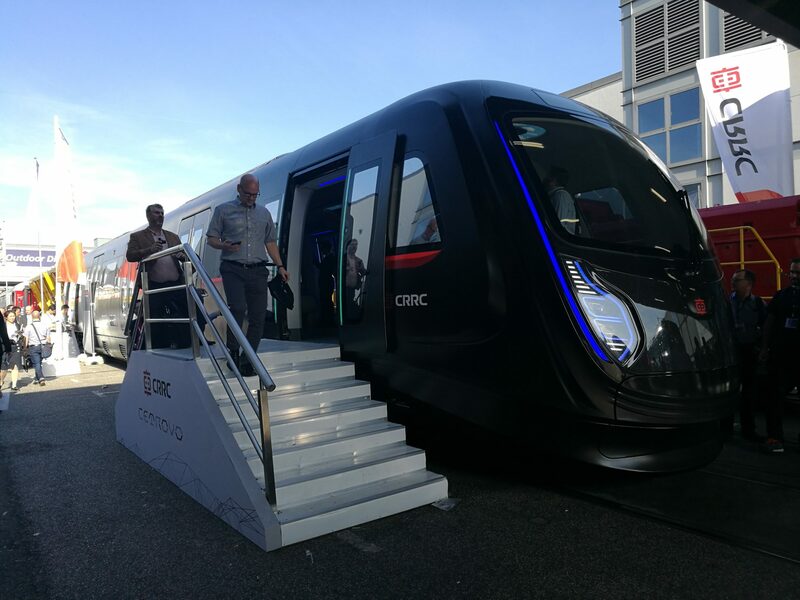 CRRC Sifang deputy chief engineer Ding Sansan said the driverless train, dubbed ‘CETROVO’, is not only lighter, but is more energy efficient and has more space for new features. For example, CRRC has introduced technology to transform car windows into touch screen displays. Described as “magic windows”, this technology allows passengers to watch the news, browse the web, buy tickets and watch television using the train’s windows. Self-cleaning seats, advanced vibration and noise reduction technology and a new traction system that can achieve a higher energy efficiency of up to 15 per cent compared to traditional metro trains are just some of the other features. Sansan said that, although the cost of carbon fibre composite materials is higher than metals, costs are recouped through reduced maintenance workloads across the train’s 30-year service life because carbon fibre has a better tolerance to different weather conditions and a higher resistance to corrosion. CRRC president Sun Yongcai said: “Rail transit equipment is on the cusp of a revolution. “The acceptance and introduction of carbon fibre materials have allowed for lighter, more energy-efficient trains. With that now comes the continual introduction of more intelligent services aimed at improving the maintenance, operations, and passenger experience.